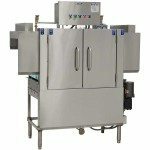 Stero Rack Conveyor Washers are offered in a variety of lengths and models to suit the needs of any size facility. 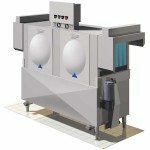 The SC modular series is designed for maximum efficiency and flexibility of dishroom design. 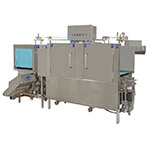 Whether it’s a small café or a fine dining restaurant, we have the Conveyor that will accommodate your wash area. 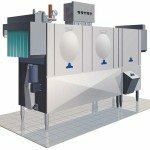 From the compact, single tank ER-44 Series to the large-volume SCT-120S, you will find the right fit with Stero. 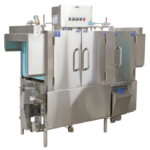 Rack Activated Auto Start—starts conveyor and pumps, eliminating the need for manual start. 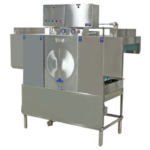 Automatic Shutoff—shuts down machine operation during idle periods. 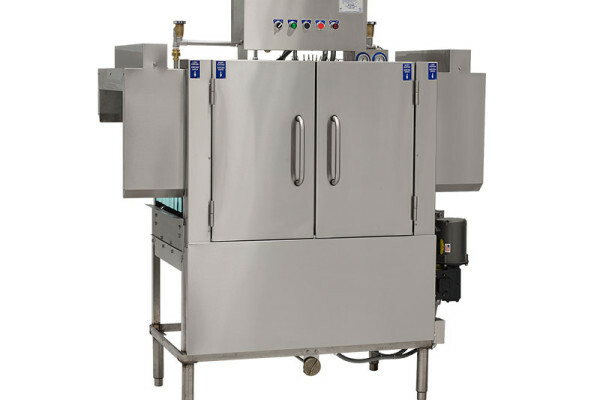 Stainless Steel Front Enclosure Panels—protects components from moisture. 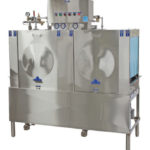 Final Rinse Plumbing Assembly—allows inspection and adjustment of final rinse water pressure. Backflow Prevention—on both tank fill and final rinse supply; ensures compliance with local environmental requirements. Corner Scrapper Units—available on select models. Space Saving Side Loader—allows corner loading of racks. 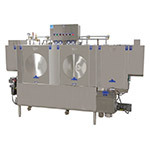 Scrap Tank Water Tempering—to avoid soil adhesion on models equipped with scrap tanks. 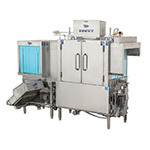 Automatic Dwell—allows extended exposure to wash pattern for heavily soiled ware.